GET ALL PUREMIX VIDEOS AND MORE VIA MONTHLY SUBSCRIPTIONS! Multi-platinum mix engineer Andrew Scheps, walks you through his entire mixing template, track by track, revealing the in the box mixing setup that he uses on every mix! In this hour and half long tutorial, Andrew shows you how he imports his template to quickly setup his sessions and start mixing with familiar routing, plugins and effects all ready to rock. The best part is after you watch Andrew walk through his template, you can download the same template session, that’s been carefully translated to 5 different DAWs using stock plugins. 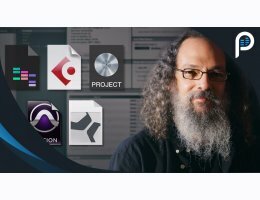 Learn how legendary mix engineer Andrew Scheps sets up his mixes and then download and start developing your own mix system based on his template. Swap in your own favorites plugins and build a reliable mixing system for yourself to use on every mix.